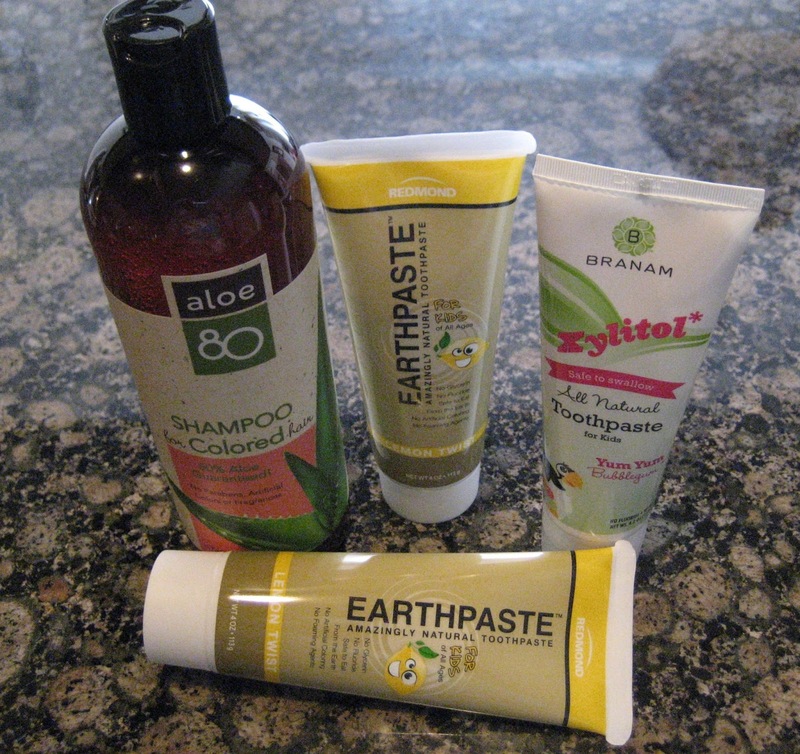 I got some great Items to try out courtesy of Vitacost. 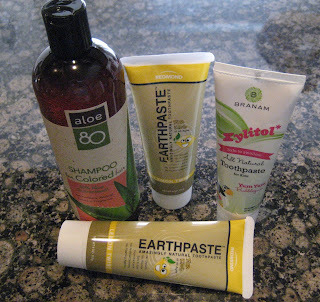 Check out my review on Aloe 80 shampoo, EarthPaste and Xylitol toothpastes. Vitacost is an online discount vitamin, supplement, whole foods, health food and sport nutrition store. Check out Vitacost and get a $10 off coupon off your first $30 order. If your order is over $49 shipping is free otherwise it has a flat rate of $4.99. They have a large supply of household supplies and bath products even for baby. They also sale gluten free foods. 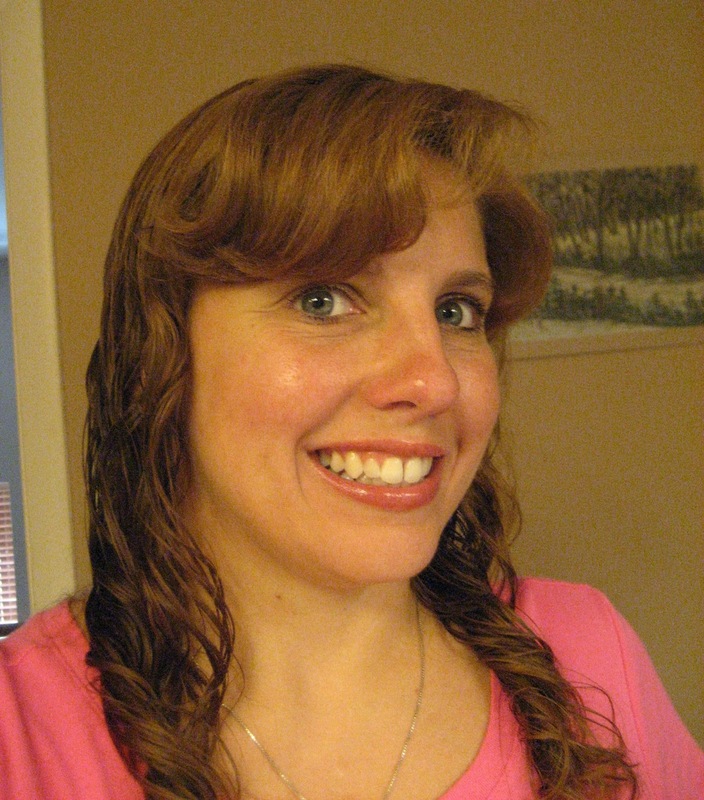 My hair after Aloe 80. This product is contains 80% Aloe. It contains no parabens, Artificial colors or Fragrances. Although it did great on my hair. It was a little on the thin side so pour into your hand carefully. It has only a small amount of lather so concentrate on those extra oily spots near your scalp. As you rinse it will clean the rest of your hair. This shampoo is super gentle and works great on my color treated hair. Afterward your hair feels squeaky clean but very soft. 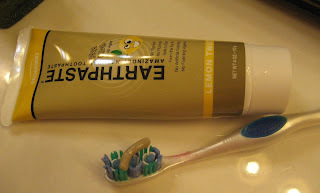 EarthPaste was my absolute favorite of the products from Vitacost. It is made with all natural ingredients, with no additives like glycerin, colors or even fluoride. The lemon flavor was supper yummy and it is safe to eat. It made my teeth actually squeak they were so clean. A little goes a long way. Their is not a lot of foaming action with this toothpaste because they don't add foaming agents. My kids liked this one as well. 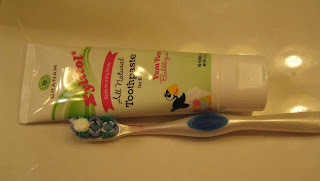 They use Real Salt® and hydrated Redmond Clay® to make this super cleaning toothpaste. I really liked Earthpaste and so did my kids. This was Lilly's (my 4 year old) favorite. She likes a super mild toothpaste flavor. It is made with Xylitol which is found in the fibers of berries, vegetables and birch trees. My mom told me that her family used to make toothbrushes out of birch trees limbs before they had toothpaste. It also contains no fluoride or SLS. It is also safe to swallow. This one does foam but only a little. This toothpaste is definitely for kids unless you like that bubblegum flavor.